What is the most basic valid module one can create in Drupal? It would be useful to have a simple blueprint available, for anyone just getting started with Drupal. The below instructions allows one to create an empty module, and is helpful for anyone just getting started with module building. If you have troubles getting your first module working, or even showing up in Drupal, ensure you've read all the instructions below. type: A type, defining to be a module. 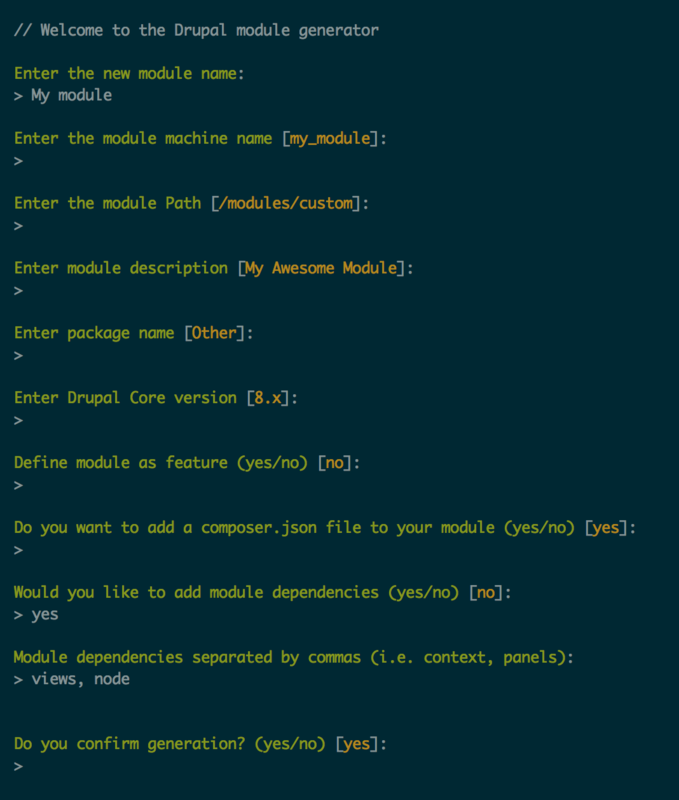 core: The major Drupal core version the module is compatible with, 8.x, in this case. Technically, Drupal also looks for modules in core/modules, but one should never, place modules there, hence it's not on the list above. Notice that both the info and module file as named exactly the same as the machine name, which is important. If you follow the above instructions, you should be be able to get a new module listed in your Drupal site, although it won't do anything, at this stage. An info file named after the machine name. To be loadable by Drupal, it must also define which core version it is compatible with. Technically, Drupal also looks for modules in modules, but one should never, place modules there, hence it's not on the list. The module file may be empty, but the info file must contain the humanly readable name of the module, and the core version the module is compatible with. For Drupal 8, since the question mentioned a blueprint, I figure I'd mention the Drupal Console project. Once that is installed, one can generate module code (and other things like scaffolding for custom entities, plugins, etc). How to implement a hook? How can I redirect a user after adding a node that also added a new taxonomy term? How to upload file from a custom module? How to create a custom stream wrapper in Drupal 8? How to create a generic page for each user without a custom module?